There are 10 upcoming IPOs this week, including the largest initial public offering by a real-estate investment trust (REIT) ever. This week's IPOs should raise roughly $4.16 billion, bringing the 2014 total to $82.6 billion. That total is by far the largest for the IPO market in the last decade. In fact, IPOs have averaged a full-year total of just $38.6 billion over the past 10 years. This year's group of IPOs has already more than doubled that average - with more than a month left to go. The biggest name on this week's IPO calendar is Virgin America Inc. (Nasdaq: VA), as Sir Richard Branson prepares to take his airline company public. The Virgin America IPO comes at a time when airline stocks are vastly outperforming the markets. So far in 2014, Southwest Airlines Co. (NYSE: LUV) has climbed 106%, American Airlines Group Inc. (Nasdaq: AAL) is up 71.5%, and Delta Air Lines Inc. (NYSE: DAL) has gained 55.7%. There are 12 upcoming IPOs this week, and the biggest company to watch is Antero Midstream Partners LP (NYSE: AM). Antero Midstream is a limited partnership that owns, operates, and develops midstream assets that service its parent company, Antero Resources Corp. (NYSE: AR). AM stock is hitting the market at the perfect time. The MLP market is hot, and its revenue is soaring (more on that below). It's also the best bet for investors playing the IPO market this week. This week's four new IPOs will look to raise a combined $955 million, a sign that the IPO market has regained some of the momentum it lost last week. According to Renaissance Capital, last week's three initial public offerings raised just $163 million combined. 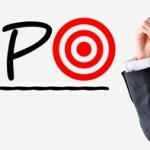 Last week also saw four companies postpone their IPOs, and another four withdraw them entirely. On Monday, another six companies set terms for public offering in a wide range of industries, including healthcare, energy, and technology. There are just five upcoming IPOs this week, a sign that the recent volatility in the broader markets is impacting the IPO market. Last Wednesday, the Dow Jones Industrial Average dropped as much as 460 points in intra-day trading, while the Nasdaq and S&P 500 hit their lowest levels since May. By the end of the week, all three major indexes rebounded, however. The Dow and S&P 500 finishing the week down 1%. The Nasdaq closed down just 0.4% for the week. The calendar is loaded again this week, as eight new IPOs come to market. We've now seen 35 initial public offerings since Alibaba Group Holding Ltd. (NYSE: BABA) stock hit the market on Sept. 19. The biggest IPO to watch this week is Zayo Group Holdings (NYSE: ZAYO). The stock is coming to market on Friday, and the fiber-optic company will raise roughly $650 million. But that's not the only deal to watch this week. In fact, this week's new IPOs should raise more than $1.8 billion combined. 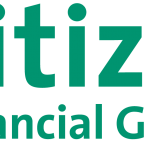 Investors interested in the high-profile Box IPO will now have to wait until 2015, as the company has once again delayed its initial public offering citing market volatility. And while Box is the largest name to announce an IPO delay recently, we may start seeing other companies follow suit. There are eight upcoming IPOs on this week's calendar, and after Friday investors will have seen 28 initial public offerings in the last three weeks. Dave & Buster's (Nasdaq: PLAY) is the biggest name on this week's IPO calendar, and is looking to raise $100 million by offering 5.9 million shares at a $16 to $18 range. The company was founded in 1982 and is based in Dallas, Texas. There are 12 new IPOs this week, another sign that numerous companies were waiting until after the massive Alibaba Group Holding Ltd. (Nasdaq: BABA) IPO to hold initial public offerings of their own. The Alibaba IPO took place on Friday, Sept. 19, and in the month prior to the deal there were only six IPOs. In the two following weeks, the IPO calendar has seen 21 IPOs. 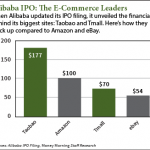 The Alibaba IPO is not only the biggest of this week's upcoming IPOs, it could be the largest IPO ever. It's the largest e-commerce company in the world's largest e-commerce market. And according to a new report today, Alibaba stock is expected to reach as high as $70 per share when initially priced on Sept. 18. Through the month of August, 188 companies have gone public in the United States, with some high-profile stocks like GoPro Inc. (Nasdaq: GPRO) and El Pollo Loco Holdings Inc. (Nasdaq: LOCO) posting triple-digit gains in their first several days. 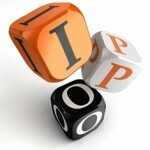 That has investors clamoring for new upcoming IPOs to profit from. The August IPO calendar has been extremely slow in 2014, with just 10 companies holding initial public offerings in the month. 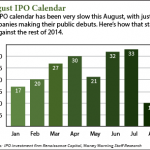 Before August, each month of 2014 had averaged more than 25 IPOs. July was the busiest month of the year, with 33 companies debuting their shares. There are 11 upcoming IPOs this week, marking another busy week on the IPO calendar following last week's 15 initial public offerings. August is traditionally a slower month for IPOs, but this week's full slate of deals is not surprising considering how many IPOs we've seen in 2014. 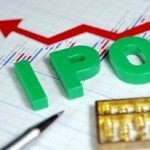 According to IPO investment firm Renaissance Capital, there have been 181 IPOs so far this year. That puts 2014 on pace to be the busiest year for initial public offerings since the Dot-Com era ended in 2000. The Virgin America IPO watch is officially underway today (Monday), as the U.S. airline has publicly filed a registration statement with the Securities and Exchange Commission (SEC) for an initial public offering. Investors have been anticipating a Virgin America IPO for months as the company finally posted its first profit last year. In 2013, Virgin reported earning $10.1 million on $1.4 billion in revenue.